Box Text: The end is just the beginning! Remember your signature move? Recall that spell? Now, face the Demon King! Re-experience your memories and journey with your friends through a nostalgic RPG world! Enjoy a variety of fun mini-games during your adventures, dood! 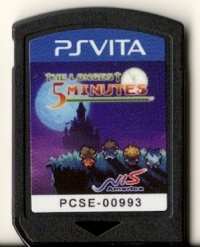 This is a list of VGCollect users who have Longest Five Minutes, The in their Collection. 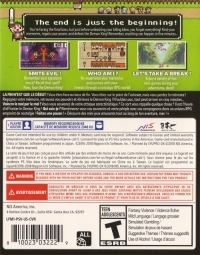 This is a list of VGCollect users who have Longest Five Minutes, The in their Sell List. 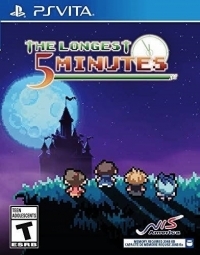 This is a list of VGCollect users who have Longest Five Minutes, The in their Wish List.